What is a Flexible Spending Account? 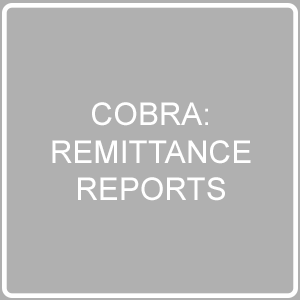 Remittance Reports contain a detailed summary of all premium payments that COBRA participants have made either to the Client or to the Carrier (minus bookable admin fees) during a specific date range. 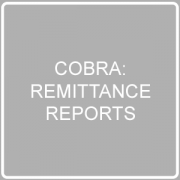 If you would like an example of a Remittance Report, you can view a Demo Report here: Demo Remittance Report. Typically, Remittance Reports are generated around the 14th of each month, but the exact day may vary from month to month. Before each month’s Remittance Report can be generated, there must be time allowed for premiums that were mailed on the last day of the month to be received and processed in our processing center and for clear funds to be established. Once 24HourFlex has cleared the funds that were received from all participants that were sent during the premium remittance time frame, including the grace period, premium remittance can be sent and the Remittance Report can be made available. As a result, the exact day on which a Remittance Report is available may be slightly different each month, because it depends on when payments are sent and received. 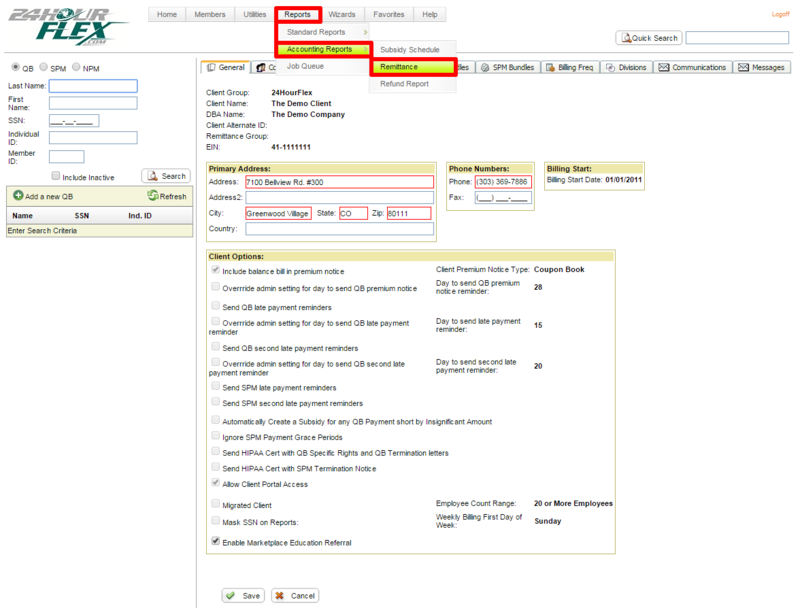 STEP 1: From your Employer Portal HOME PAGE, click on the IMPORTS & REPORTS option on the left side, and click ACCOUNTING REPORTS. 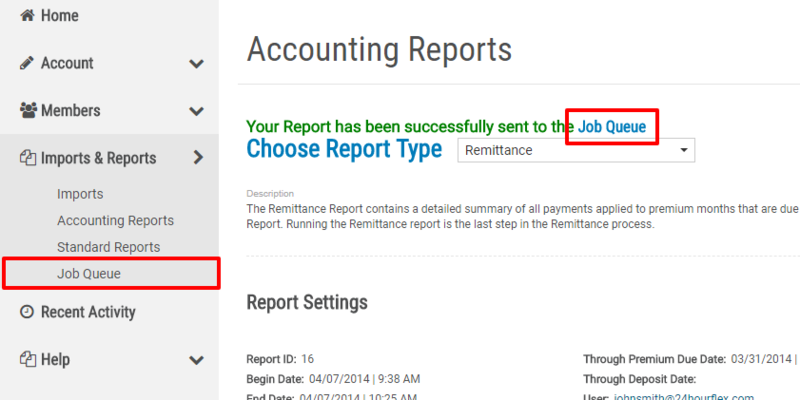 From the drop-down menu, select REMITTANCE as the report type. 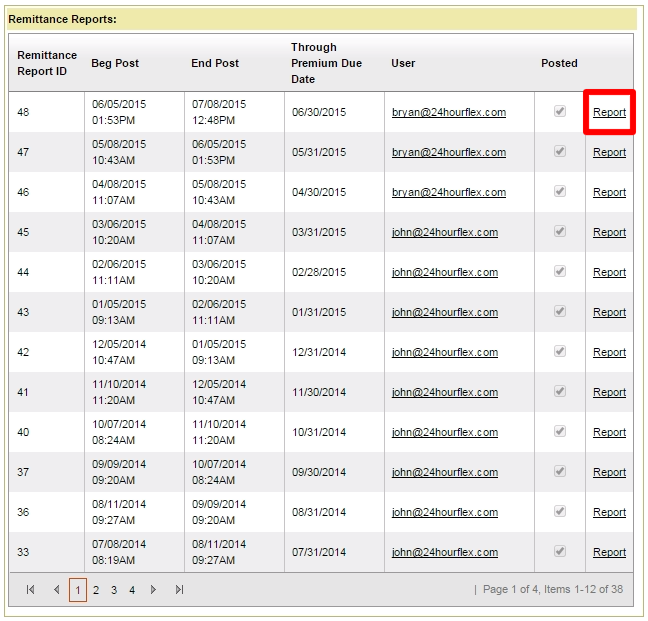 STEP 2: Select the REPORT link for the desired corresponding date range. 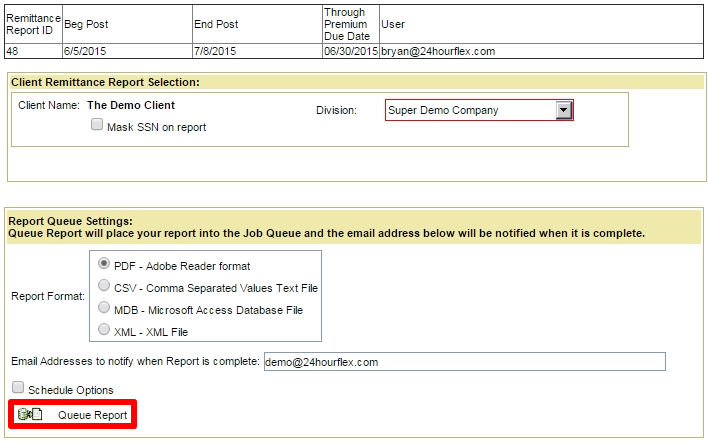 STEP 3: Choose your desired format and division(s) you want to be included in the report. 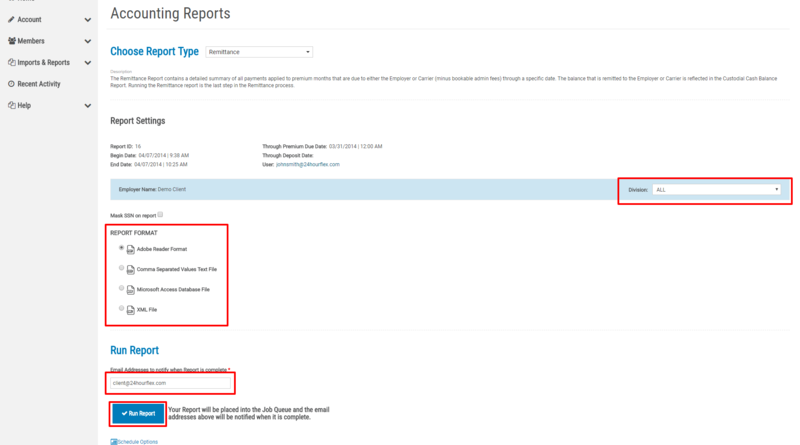 Enter your email address to receive a notification when the report is complete. Then click the RUN REPORT button to proceed. STEP 4: You will receive a confirmation message saying your report has been sent to the JOB QUEUE. Click on Job Queue under the IMPORTS & REPORTS menu on the left or in the confirmation message to view the list of requested reports. STEP 5: It may take a moment for the report to generate. If needed, click REFRESH in the top right corner. When the report is ready, it will say “Complete” in the MESSAGE column. When ready, click VIEW to download the report to your computer.